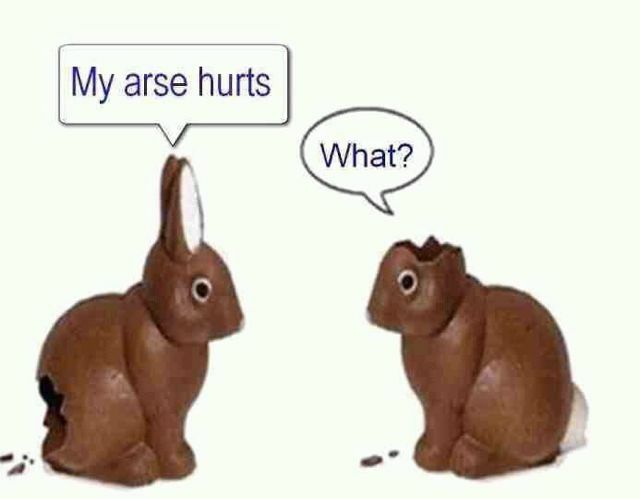 Easter Sunday and the clocks changed. On Saturday evening, we (the Italian family, the LSH and I) agreed with Sharon and Lorenzo that we’d be kind to ourselves and start at 10am. Only two of the Italians were riding this time, the son and the daughter – I think two hours in the rain the previous day was enough for the mother and father. There was a bit of confusion at La Fiaba when we got there as Lorenzo had sneaked in a couple of kiddie rides unbeknownst to Sharon, so we faffed around for a while – walked the dogs, groomed the LSH’s horse and just generally waited. Francy – see the pin-firing scars on her right fore? 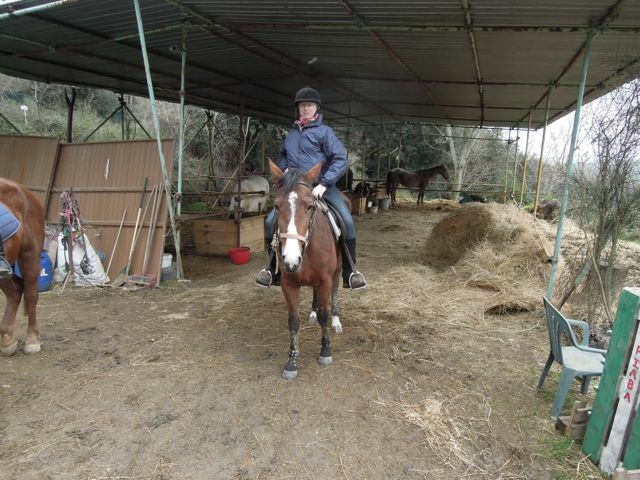 The LSH was riding a different horse this time, a narrow little standardbred mare called Francey. I think he preferred Pancho, to be honest, but the ID used to own him and really wanted to ride him before she went home. 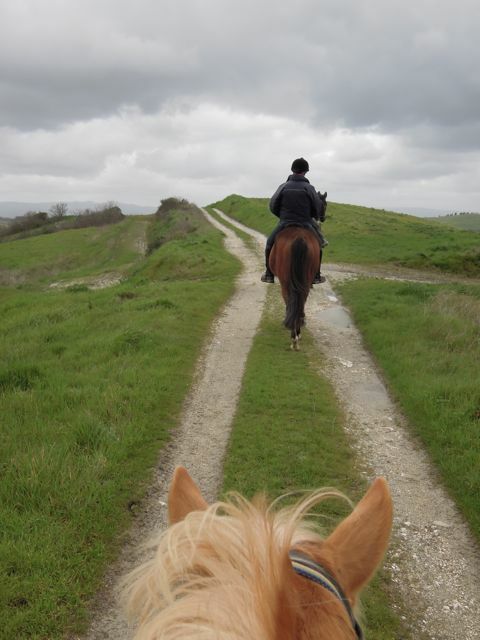 I was on Blondina, the half-Haffie, again and the Italian son was on an Irish cob called Lubie. Eventually we set off, with Sharon determined to take us on a nice enjoyable ride seeing as the rain was just about holding off. She led us downhill, along a grassy (and sometimes muddy) track. Through the Ears of a Haffie! Seeing as it wasn’t actually raining, I snapped a few photos as we went along. 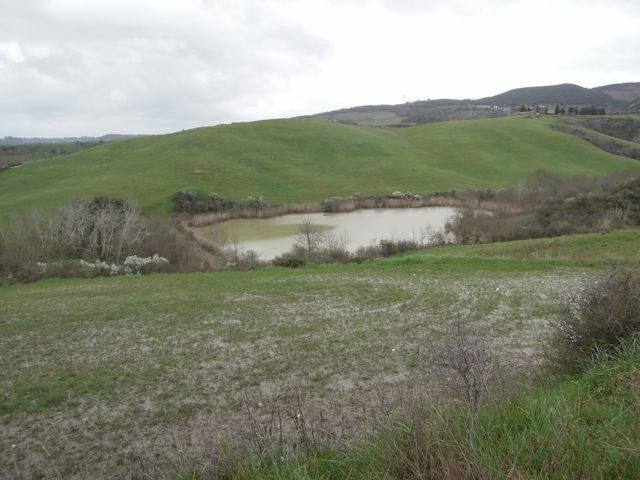 There were quite a few ponds – I’m not sure if they’re still there during the summer but they seem pretty permanent. Looking back at the hill where we rode the previous day. Looking back at the ID and her beloved Pancho, with her brother and Lubie bringing up the rear. We had to go down one really steep slope that was just a sheet of slippery mud. My sure-footed, barefoot mount made her way down carefully and we all made it to the bottom safely, just in time for Sharon to take a phone call from Lorenzo – she had the house keys in her pocket and he had to get cleaned up and go to work! Oops! 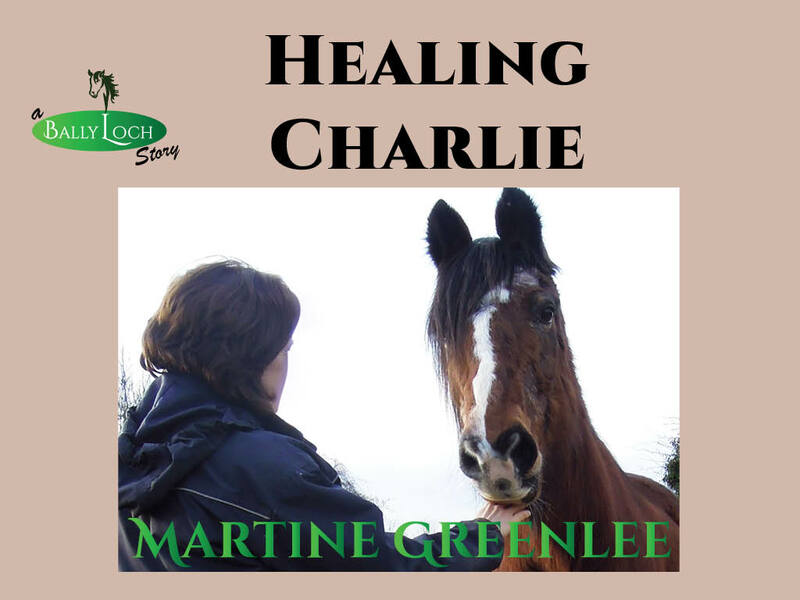 Full of apologies, she led us up a different track towards the village to meet him. 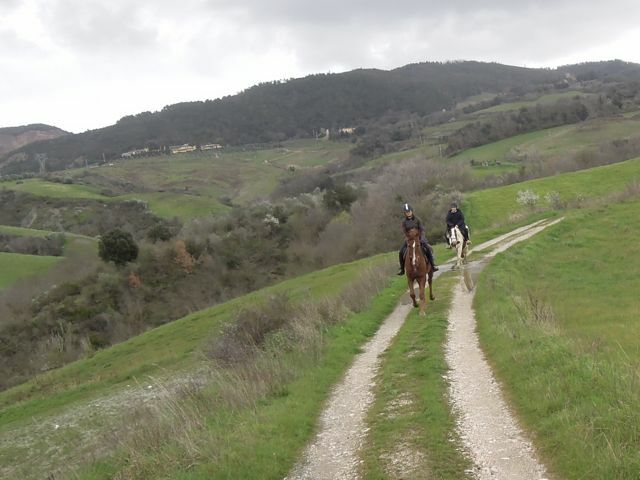 It would have been a lovely cantering opportunity if the ground wasn’t so treacherous and if we didn’t have a non-rider with us, but we did have a nice long trot, the horses responding eagerly and the Italian Son – the non-rider! – gamely bouncing along on Lubie behind us, giggling all the way. Keys handed over, we continued on our way until, by pure chance, we met the partner of the guy who owns Soiano, where we were staying. “What time is lunch?” Sharon enquired innocently. “One O’ Clock!” was the reply. Crap – it was already after 12.30! We had no choice but to go back to the stables and put the horses away before racing back to Soiano for lunch. 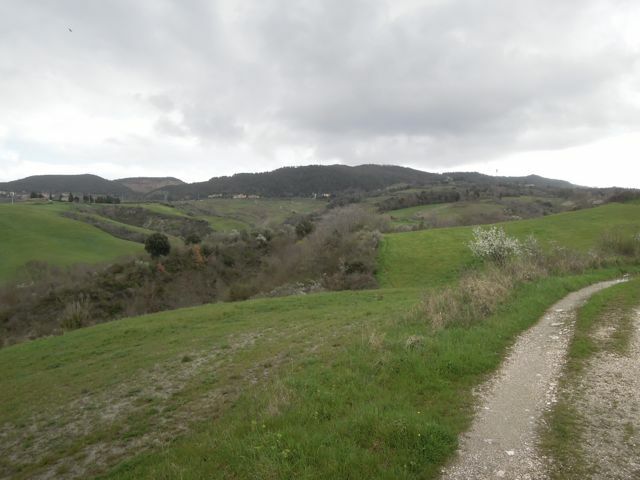 Easter Lunch in Tuscany? That deserves a post all of its own – domani! And cycling shorts? I’m sure you’re all dying to know. Forget the cute little kiddie shorts I dressed the YD and the ED in when they were tiny. PROPER cycling shorts are padded. And they come in Male or Female versions with the padding shaped appropriately. Here’s mine, turned inside-out so you can see the padding. You know it’s the Female version because the padding is PINK. Not because it’s shaped for Lady-bits or anything like that. Bicycling shorts! How brilliant is that? I never thought to try it and now will on my next 2 hr. plus ride! Thanks for the idea. Cycling shorts are a good idea! I have some and it does take a minute to get used to the feeling. . .
She’s a good little halfhaffie! And yes, the other half is Arab. There’s another haffie there called Wilma or Vilma, I’ll post photos of her later. How big is she? I can’t tell if that saddle is super small or if she is a bit longer. 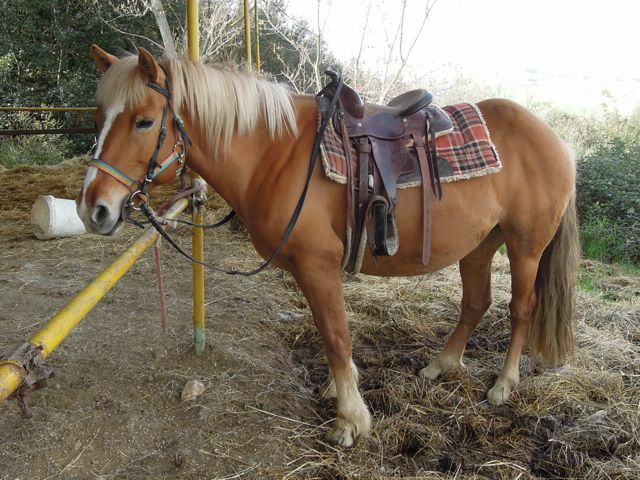 Shy could never wear a square skirt on a Western saddle!